Lisa Prior, a 20-year veteran leadership coach and change consultant, is on a mission to help people build the career of their dreams. Unlike most self-help books that tell people to quit their jobs and follow a “do what you love and the money will follow” theory, Lisa challenges you to dig deep to develop yourself, your career and your organization in your current role, whether you work for yourself or someone else. 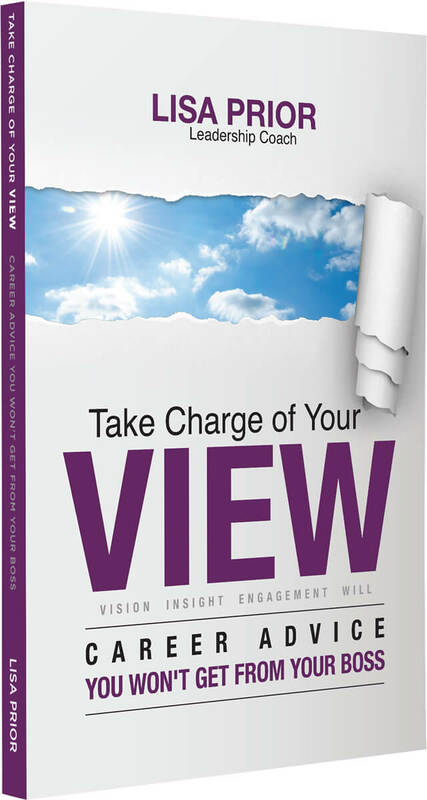 When you take this six-week journey, you will discover your VIEW, Lisa’s framework of skills needed to create the career you love: Vision, Insight, Engagement, and Will. Lisa shares success stories of people she has coached and offers practical tips, including: (1) how to capture your VISION; (2) how to gain INSIGHT through feedback and “flow”; (3) how to boost career ENGAGEMENT through win-win situations and by abandoning the idea that success relies on “who you know”; and (4) how to cultivate WILL by creating your mentoring network and naming your mountain— the thing you shy away from. In Lisa’s case, this mountain was a MOUNTAIN. By the end of this interactive book, you will be able to jumpstart your own career changes, and put your VIEW into action, lead the life you were born to live, and do the work you were born to do. Whether you are 22 or 62, you can take charge of your VIEW. Order Take Charge of Your VIEW now.